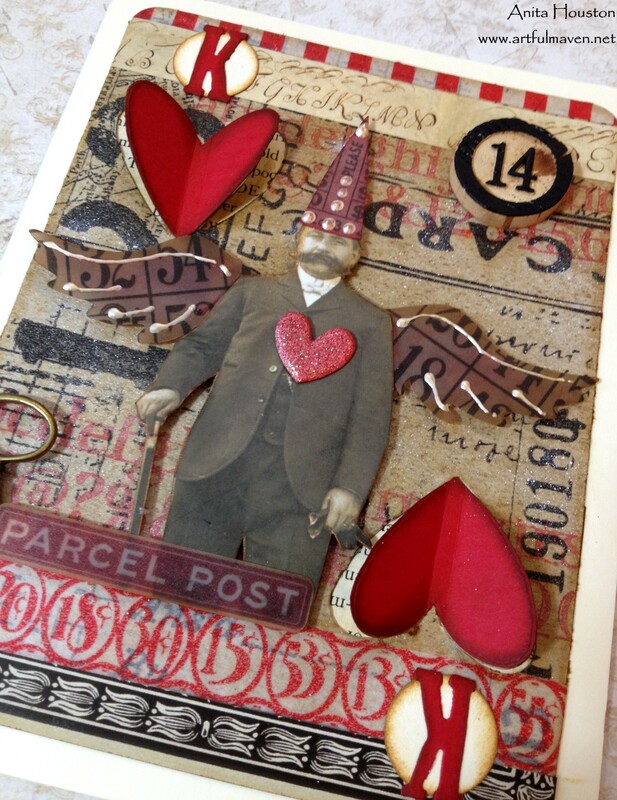 Making your own Valentines is not only fun, but really impresses the receiver. 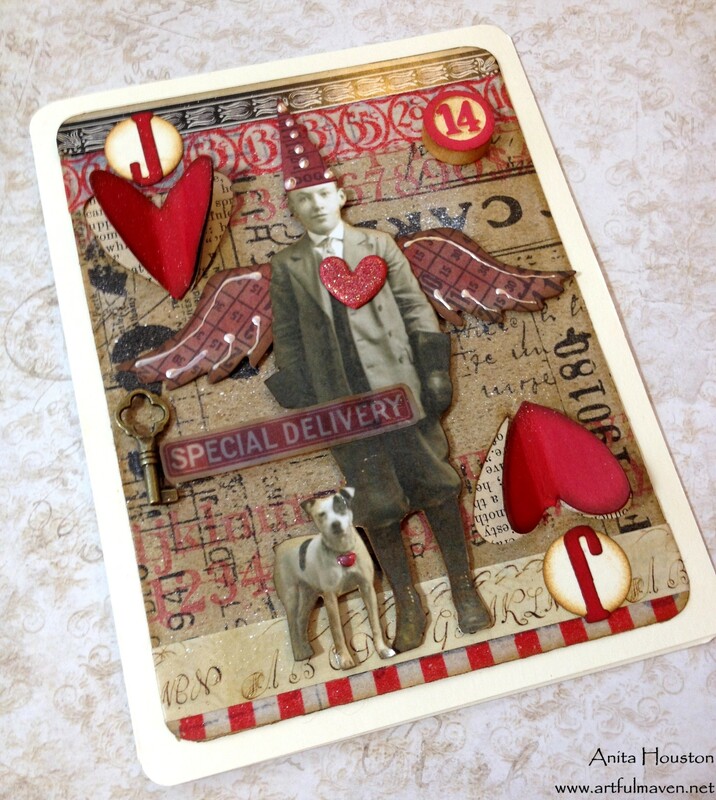 Learn how to make these playing card looking Valentines below! Adhere Tissue Wrap onto Kraft Cardstock with the Glue Stick. 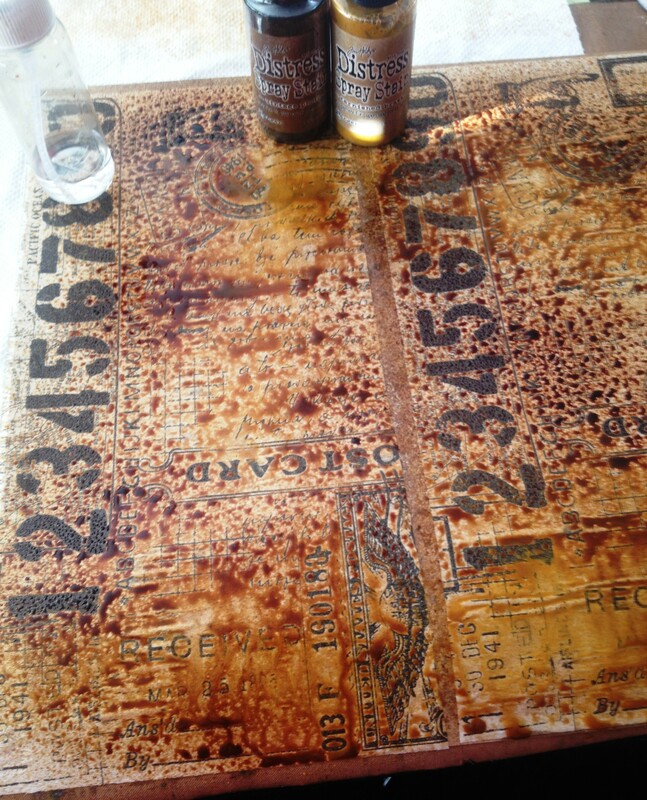 Lightly mist the paper with water, and then Vintage Photo and Tarnished Brass Distress Spray Stain. Blot with a paper towel. 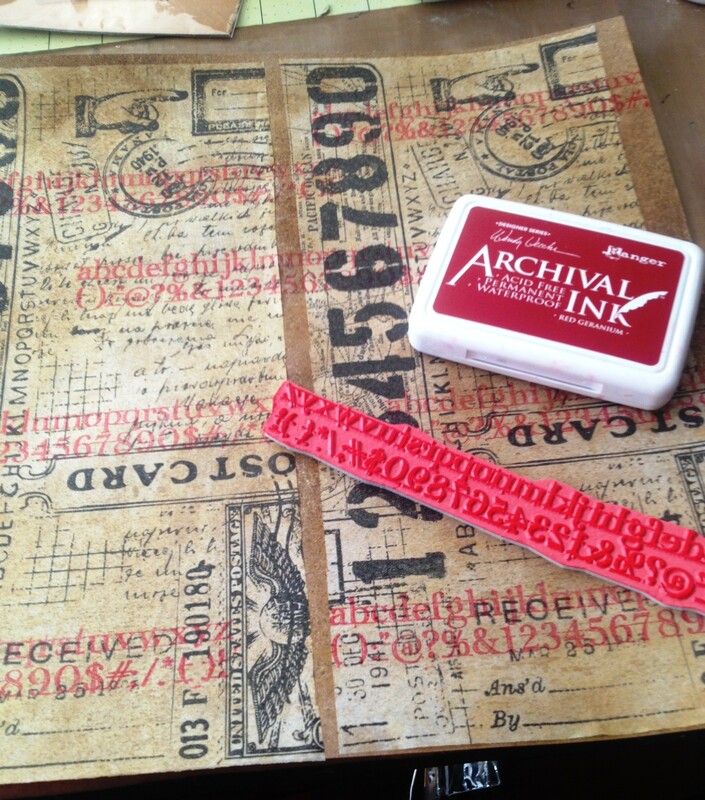 Stamp Alphabet and Number stamp with Red Geranium Archival randomly over the whole piece. Cut the page into 4 pieces, each 4x6. Select four images from the Found Relatives Cards and cut them out, but being careful not to cut through some of the decorative borders on the backs of the cards as these will be used later. There will be one person for each card. 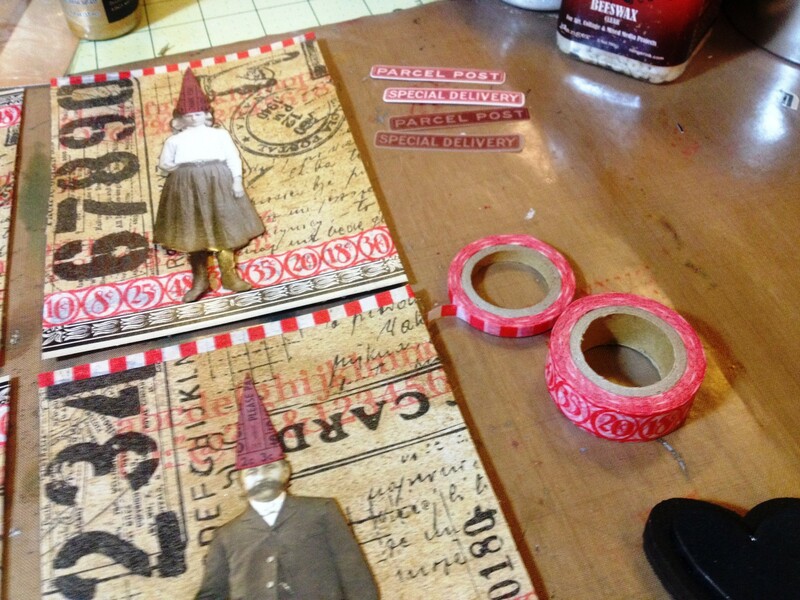 Use ephemera to hand cut party hats to fit each person. 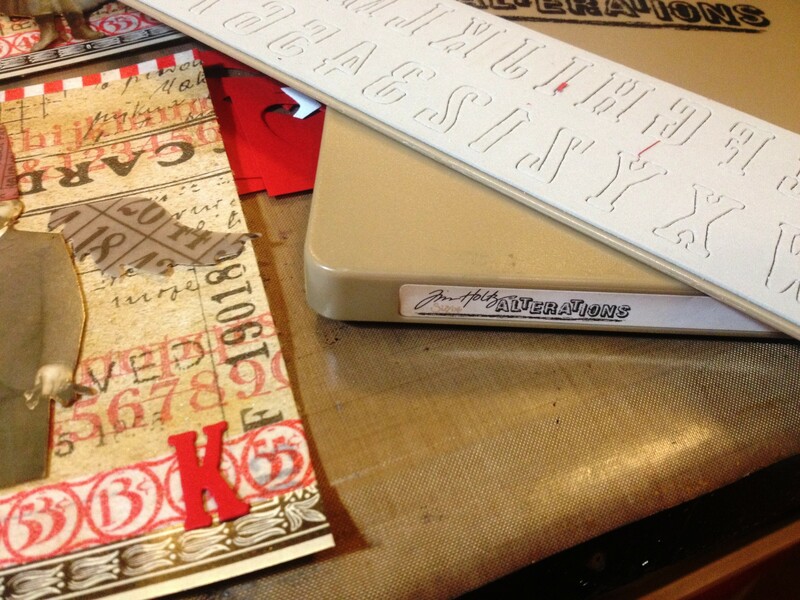 Use more ephemera to die cut wings for each person as well, and ink the wings in using Barn Door Distress Ink. 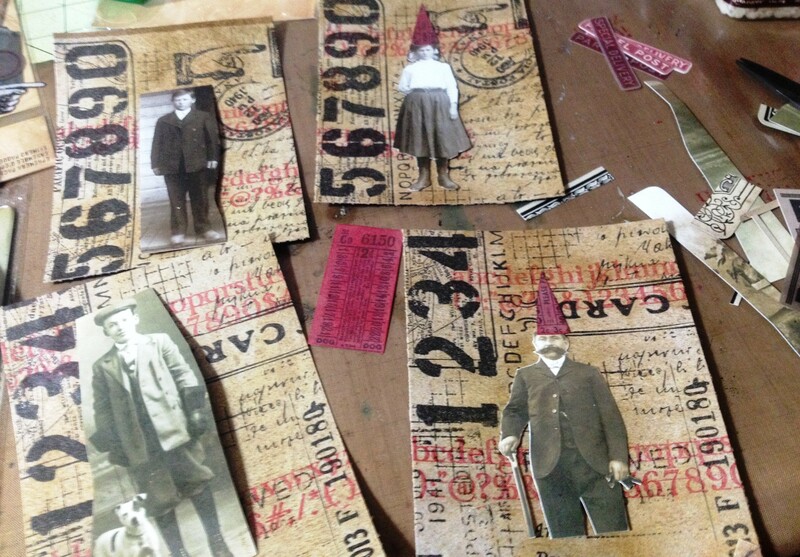 Ink around the people, hats, and wings with Gathered Twigs. 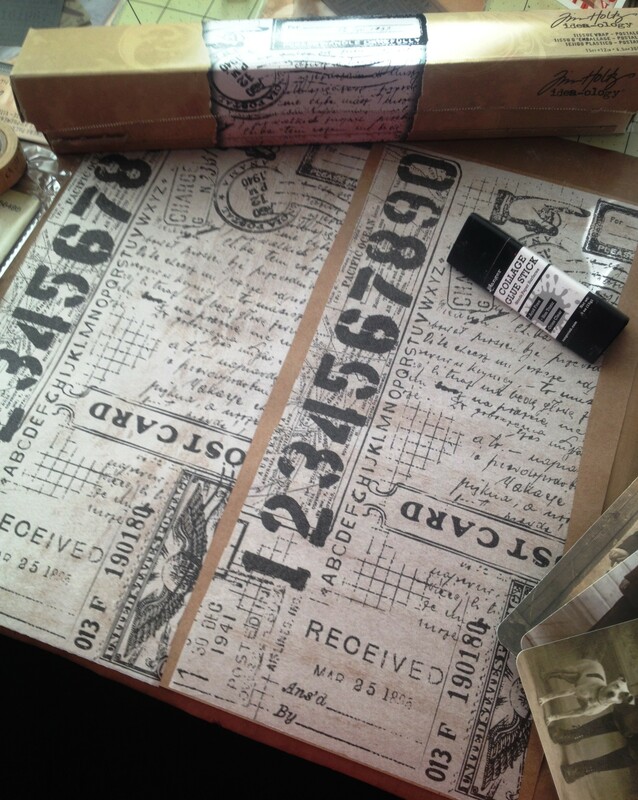 Add the decorative trim from the back of the Found Relative to the cards. Add Tissue and Washi Tape as well. Round the edges of the cards with the Corner Chomper. Ink the edges. Punch 8 circles out of Manila with the circle punch. Ink around the edges with Gathered Twigs. Die cut two 'K', two 'Q', and four 'J' from red cardstock, and glue them onto the circles, centered. Glue these down onto the opposite card corners, one facing you and the bottom one upside down...just like an old fashioned playing card. Die cut 8 red hearts from the mini Movers & Shapers as well. Glue them down under the letters, again one facing upside down. Use the Dimensional Cutting Pad to cut around the hearts, leaving the centers attached, so that the hearts can be folded. You can also do that by hand. See photo of finished project to see the fold. 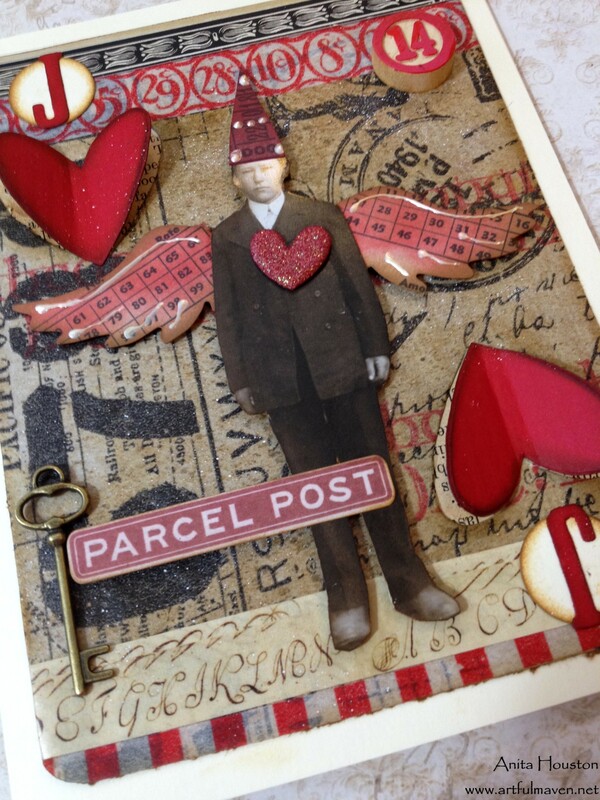 Use the Marker Spritzer and Picket Fence Marker to make white splotches of color all over the card. 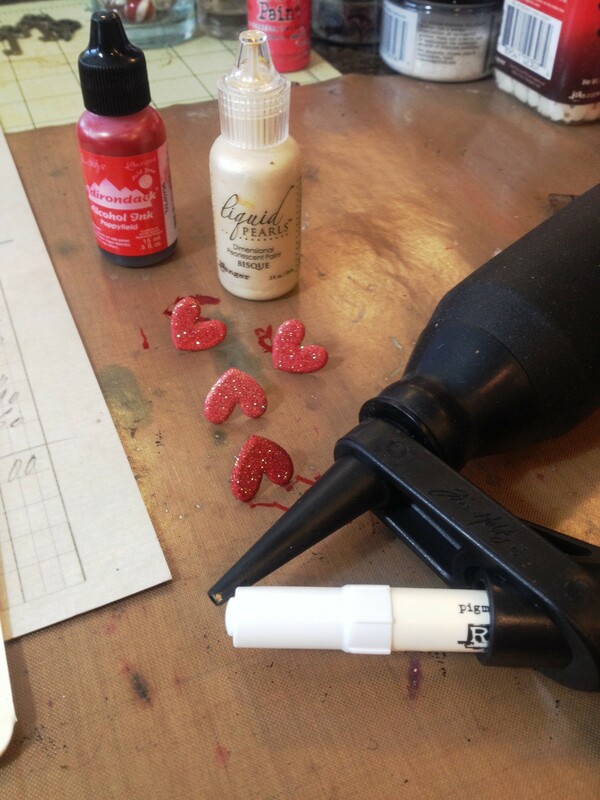 Color heart brads with Alcohol Ink, and then affix them to the people where their hearts would be. Adhere the people to the centers of the cards with foam tape. Use Liquid Pearls to adorn the wings and hats. 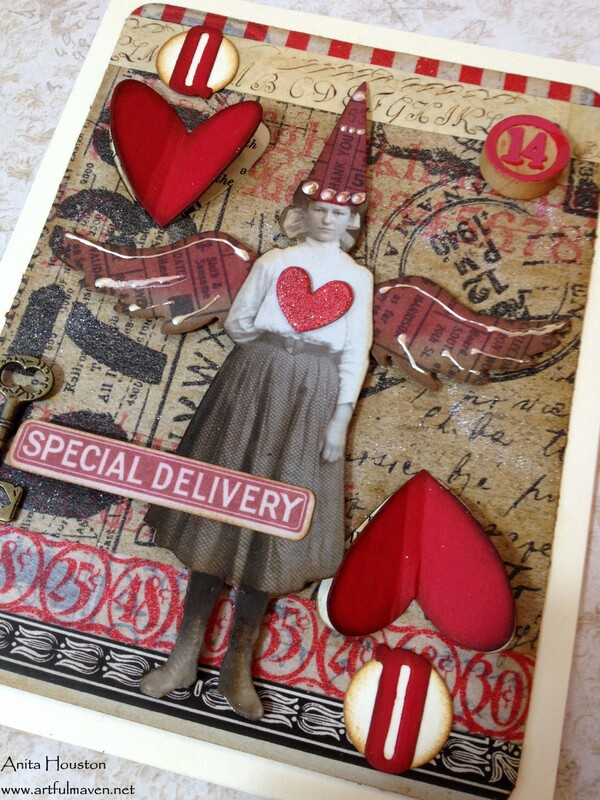 Once dry, mount this card onto a manila card base, cut 1/2 inch larger in length and width using the glue stick, BUT adhere a scrap piece of book paper to the manila, behind each die cut and folded heart, so that it will be seen behind it. Corner round the manila cards as well. Finally, adhere the Bingo, Game Pieces, and Keys to the cards with Multi Matte Medium.